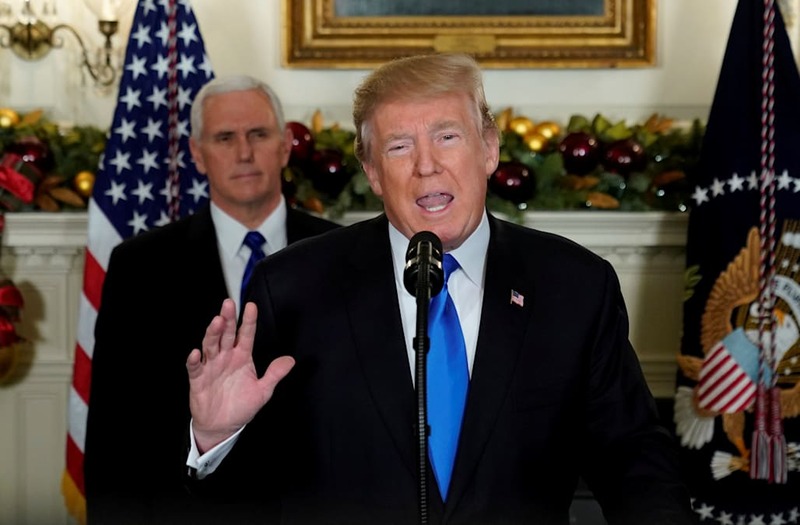 While President Trump delivered a landmark speech in which he recognized Jerusalem as Israel's capital Wednesday, listeners couldn't help but notice a strange moment during his announcement. Shortly after the 45th president announced plans to relocate the U.S. embassy to Jerusalem, he began to spark conversation on social media for a different reason after seeming to display a newfound lisp. He became the first U.S. president in 70 years to recognize the city as Israel's capital, but the clarity of his words appeared to drift sideways after he began slurring. Many online are speculating that the 71-year-old was either having trouble keeping a mouthpiece -- namely, a retainer or dentures -- in place towards the end of his remarks. Trump clearly wears Trump Dentures. And other Twitter users had different theories for the president's slurred speech.